Testing method of a fuel injection valve for a diesel engine by supplying pressurized oil with actual temperature to the inlet side of the valve. According to the invention, the oil pressure is gradually recorded. The pressure increase is interrupted at the moment when the opening pressure of the valve is exceeded, which is noted by a drop in the pressure on the inlet side. At the same time the opening pressure is recorded. 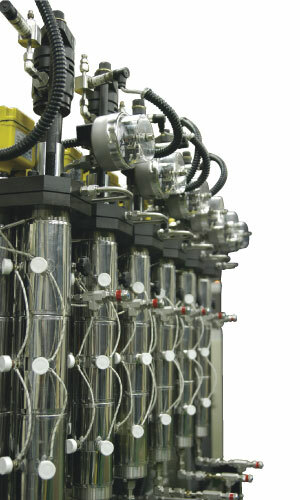 As a result, more various test methods are provided, which also can be used in connection with newly developed injection valves.